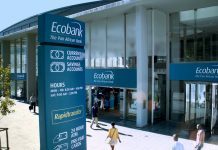 eTranzact, Africa’s e-payments solution provider, which delivers electronic transaction switching and payment processing solutions across Point of Sales (PoS), web, mobile, Automated Teller Machines (ATMs) and cards, has declared a profit of N471million for its financial year ended December 31, 2015. The company said its operating profit grew from N380million in 2014 to N851million in 2015 representing 124 per cent annual growth. In order to make its shareholders share from the profit, the company declared 10kobo dividend for its shareholders, up from the five kobo dividend it paid last year. The resounding success it recorded in the financial year ended December 2015, no doubt, helped the company to consolidate on its market dominance in key sectors of the industry in 2015, actively driving financial inclusion while meeting its key goal of delivering sustainable returns to shareholders. 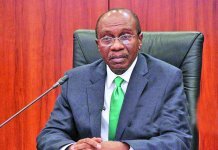 According to the company’s annual report, gross revenue for the year 2015 was N8.7 billion, representing 22 per cent growth compared to 2014. Profit before tax (PBT) grew by 76per cent from 2014 performance while Profit after tax (PAT) grew by 73per cent compared to 2014’s performance. The company’s performance in 2015 increased its retained earnings and allowed the board of directors to approve the payment of a 10 kobo dividend to shareholders for the period. PocketMoni prepaid Mastercard was issued to all shareholders and with their approval at the AGM, their dividend payout was made to the cards. Commenting on its growth, the company attributed its success to key growth drivers such as strengthened collaboration with partner banks in driving mobile banking business; strategic alliances with international money transfer operators which is driving growth of remittance business; alliances with government agencies, parastatals and educational institutions, which is driving bulk payments; central collection; and transaction switching and processing business. Projecting into the future, the company said it has taken steps to increase profitability of new relationships, enhance and deepen existing ones, and explore new partnerships locally and internationally. “As we position our business and operations to take advantage of various opportunities in the industry, we will continue to align our processes and operating standards with global best practices, which is required of businesses such as ours, Ohiwerei added. 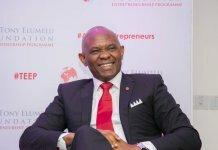 He promise to continue to make payments simple, and innovating and creating solutions that transform the lives of people in Africa. eTranzact recently completed the strategic rebranding of its identity, vision, mission, products and people, reaffirming the company’s leadership position in transaction switching, mobile banking, mobile money, bulk payments, remittances, bills and utilities payments, collections and other payment technology areas.